Indonesia on Monday shut an airport in East Java province as ashes from Mount Bromo volcano endangers flights, an official said. All activities at the Abdurrahman Saleh airport in Malang district was halted, starting at 11:00 a.m. Jakarta time Monday until 09:00 a.m. Jakarta time Tuesday, Sutopo Purwo Nugroho, spokesman of the national disaster management agency said. The 3,829-meter-high Mount Bromo spewed a column of ash by up to 1,200 meters to the sky on Monday, he told Xinhua via phone. Tourists are banned from entering the area of 1 kilometer from the crater, Sutopo added. 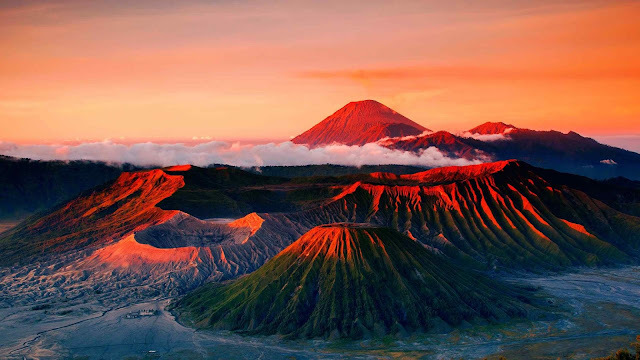 Mount Bromo is one of Indonesia's 129 active volcanoes. The eruption of the volcano forced airliners to ground their planes in 2011, and paralyzed tourism activity in the province and nearby areas in 2010.